Now you can support your favorite NFL team anytime you bowl. Be the first at your bowling center to purchase these stylish bowling shoe covers! Prevents the soles of bowling shoes from getting ruined due to moisture, gum, food, etc. Hello Dottie! No, we don't have any other variations for this item. This is the only size it comes in. 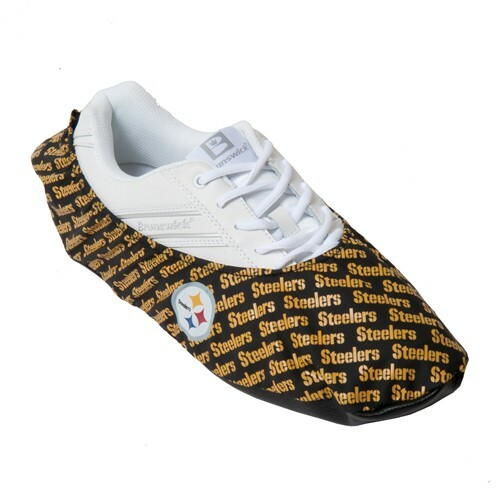 Due to the time it takes to produce the KR Strikeforce NFL Pittsburgh Steelers Shoe Covers ball it will ship in immediately. We cannot ship this ball outside the United States.